Game recap May 29: Who needs fingers anyway? After Monday’s day of arguably-too-much-baseball, the Mets and Braves were back at it again on Tuesday night after yet another rain delay. Steven Matz took the mound for the Mets, giving New York what appeared to be a significant advantage over Braves starter Anibal Sanchez. In more nightmarish news, Jose Reyes was in the lineup again, and Jose Bautista was batting third. Your 2018 Mets in a nutshell, folks. This game went much like every other game for the past week. Starting on a positive note, they took a first inning lead again, when Brandon Nimmo reached on an HBP and scored on a double from Bautista. 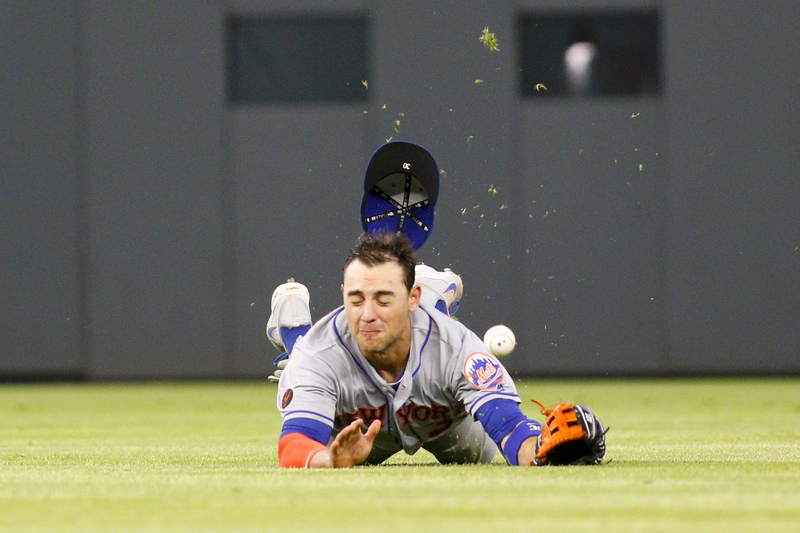 The Mets would stretch that lead further in the third on a two-run home run from Asdrubal Cabrera. Matz was cruising on the other side of the ball, working around a handful of Braves’ baserunners over the first three inning, and the Mets got him another run in the top of the fourth on a home run from Adrian Gonzalez. At that point, the hits (the other kind of hits) started coming. Matz left the game before throwing a pitch in the fourth with a finger injury suffered on a swing, a burden the strained Mets’ pitching staff is ill-equipped to handle at the moment. Paul Sewald entered and promptly started serving up hard contact, allowing two runs on three hits, a walk and a passed ball. The Met lead was cut to 4-2. Unlike previous games, the Mets managed to add on after their bullpen stumbled. Cabrera homered again in the fifth to get one of those runs back, and an RBI double from Nimmo in the sixth reestablished a four-run lead. The bullpen, meanwhile, stabilized a bit, with Sewald and Jerry Blevins combining to keep the Braves off the board in the fifth and sixth respectively. You can probably guess where things went from here. Blevins, forced into a two-inning appearance by the Mets’ decimated pitching staff, struggled, allowing two out hits to Freddie Freeman and NIck Markakis that pushed another Braves run across. Jacob Rhame finished out the seventh, but was shellacked in the eighth, blowing a three-run lead with, of course, the help of a bloop single for Dansby Swanson. The game was tied again. Fittingly, the Mets threatened but squandered an opportunity in the top of the ninth, putting two men on with nobody out and then not scoring. Gerson Bautista entered for the bottom of the ninth and, after recording one out, served up a walkoff home run to light hitting Johan Camargo. It was something of a mercy, as the Mets simply did not have the arms for an extra-inning game, but blowing yet another big lead late in the game is more than a little disheartening. Admittedly, I’m a bit too young to have 100% accurate memories of the 2007 stretch run, and I’m too lazy to go through the play logs and get the details. Regardless, this recent stretch has felt like hopping in a time machine, watching that 2007 team blow any and every lead they could get their hands on. This current Mets team could be leading by 20 and I wouldn’t feel confident, and I doubt many other fans would either at this point. This was totally predictable though. This is what happens when, in lieu of signing real relievers, you put your starting pitching depth in the bullpen. This is what happens when, instead of upgrading on an injury-plagued group of starters, you sign Jason Vargas and call things good. This is what happens when you prioritize saving money over adding talent in deadline deals in the previous offseason. This organization simply does not have enough major league quality arms, and that problem is made more acute by their injury problems that, at this point, are persistent enough that they must be something more than bad luck. Noah Syndergaard hit the DL yesterday with a strained ligament in his right ring finger. It’s a minor injury and he should be back in the minimum amount of time, in theory. Of course, rather than encouraging a player who self-reported an injury and kept it from becoming more serious (one who has done just the opposite in the past), the team put out veiled comments suggesting that Thor could pitch anyway and he was simply being a wimp. There’s some heavy reading between the lines required there, but the fact that even a hint of such a sentiment is present is just the kind of dysfunction you expect from this team. Elsewhere, Anthony Swarzak had a stellar rehab appearance for the Las Vegas 51s. He can’t rejoin the team soon enough.